This dish was sooo good! The flavour was deep and satisfying. The lamb was so tender it just melted in your mouth. Even my pickiest eater found it delicious and easy to eat. The only change I made was to use Vegeta vegetable stock instead of the beef stock. I’m assuming this wouldn’t have changed the taste too drastically. And with some fresh crusty bread, we couldn’t get enough. The kids loved it so much I put the leftovers into wraps for their school lunches the next day. They all said it tasted as good as the night before. And what an awesome school lunch! For me, this has been one of the tastiest dishes in Dorie’s Around My French Table cookbook. I’m keen to see if the rest of the French Fridays with Dorie group loved it as much as I did??? 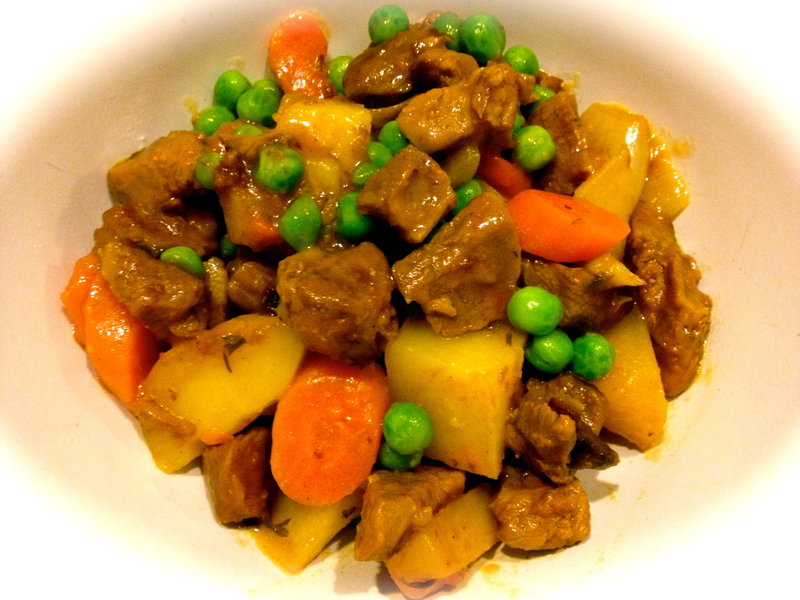 Tags: cooking, food, french food, french fridays with dorie, lamb, stew | Permalink.